Doubtful Sound and it's stunning presence. Dusky Sound - NZ's best kept secret! Commentary from your experienced pilot about the local scenery. Complimentary transfers before and after your flight from Te Anau or Manapouri. The best of both Fiords, enjoy and be amazed of what these two magnificent Fiords have to offer with the bonus of seeing Breaksea Sound and Wet Jacket arm. You will also have a remote landing for a great photo opportunity. 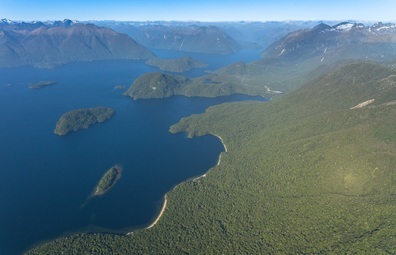 "I can't say enough about Te Anau Helicopter Services and the staff. They knew how important this flight was to me and did everything to make it happen"